This is a 1966 ad for a Rover 2000 TC Sports Sedan! The size of the ad is approximately 8.5x11inches. 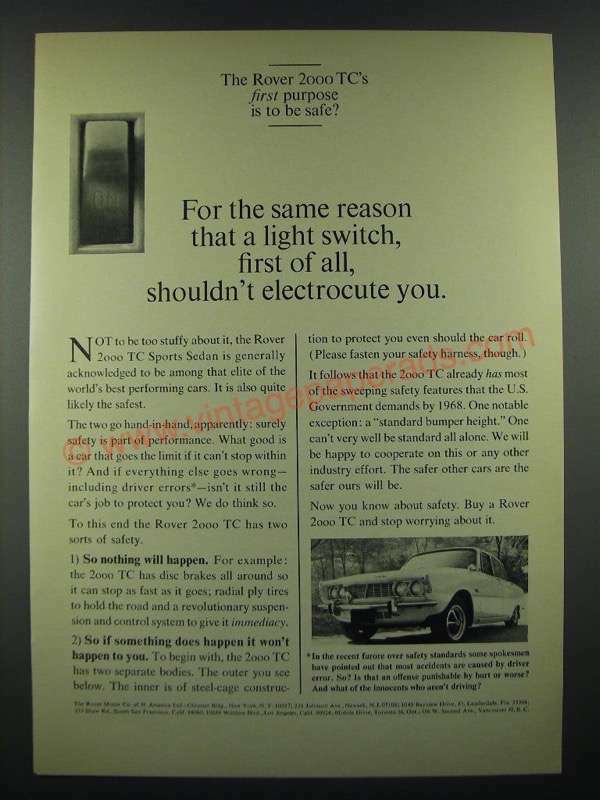 The caption for this ad is 'The Rover 2000 TC's first purpose is to be safe? For the same reason that a light switch, first of all, shouldn't electrocute you.' The ad is in great condition. This vintage ad would look great framed and displayed! Add it to your collection today!